growing production facility has been set up for maximum efficiency and flexibility as well our operating structure enabling Trans-Audio to adapt easily and follow quick changing market demands. We back up our own strong technical background cooperating closely with many independent audio engineers from the international or domestic as well as within and beyond EU.Until now, we have three brands are of"Lotusline", "CTAL and "Trans-Audio". We are committed to providing highest quality products and professional service to our customers. 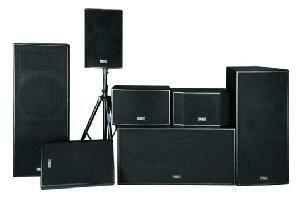 we can build up a sound system like a line array, full range etc. for a very special price to penetrate the market. If some famous singers and bands want to play over Lotusline, then we can possibly sell it to more companies and build up a network. let the world listen the real sound from china, pls try!! Street Address: 2 Shixin Road, Donghuan St.